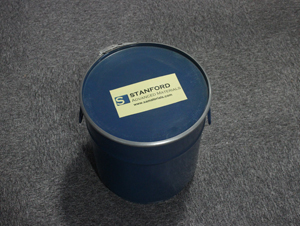 Stanford Advanced Materials (SAM) is a trusted supplier and manufacturer of tantalum silicide powder and a wide variety of tantalum products. 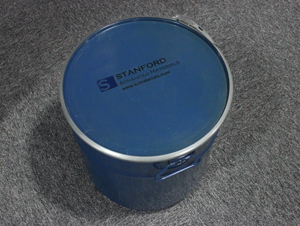 Related products: Tantalum Carbide Powder, Tantalum Oxide, Silicon Powder. Tantalum (Ta) is a dark blue-gray metal that is very heavy, ductile and hard and has high corrosion resistance. Tantalum is especially resistant to chemicals at temperatures below 150 °C and can only be dissolved with hydrofluoric acid. Our tantalum silicide powder is available in submicron & nanoparticle forms. It is supplied in minimally sized grains and is frequently used in deposition and evaporation processes and in applications where high surface areas are desired. • Used in ceramic materials, electrode materials, thin film materials and refractory. Our tantalum silicide powder is carefully handled to prevent damage during storage and transportation and to preserve the quality of our product in its original condition.